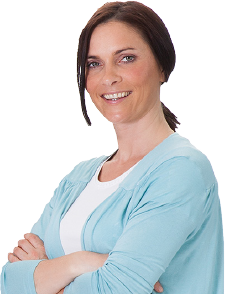 Repair damaged grout, improve the look of your patio and protect against weeds and moss. 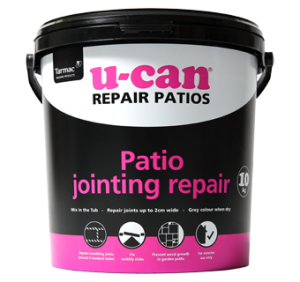 U-can Wide Joint Patio Grout has been specially formulated for quick, mess-free patio maintenance that lasts and lasts. All paving, patios and paths joints over 6mm wide and 25mm deep. 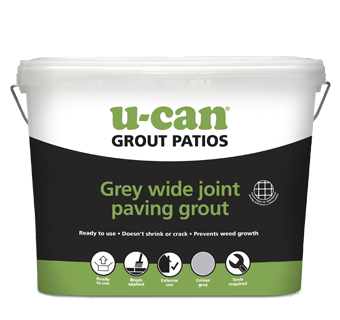 Our self setting jointing grout is easy to apply sets hard to banish weeds and protect against rain. 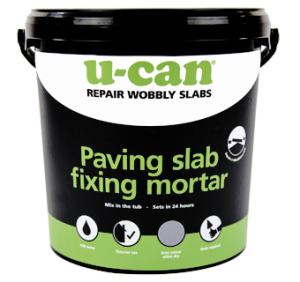 Just brush or scrape any loose grout and debris from between your patio paving slabs and brush repair paving grout into the gaps. 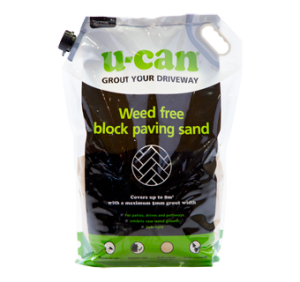 Compact and smooth with a trowel or pointing tool and allow to cure. Available in buff and grey.